When it comes to classic indie pop, Americans sure do love their foreigners. Whether it be the infamous pop darlings hailing from Glasgow, Belle and Sebastian, or the like, we do love a good soft spoken pop band and so it’s no surprise that Swede Jens Lekman has been a force to be reckoned with since his debut album released in 2004. Since then, his delicate tones have made their way into the hearts of many, perhaps owing to the melancholic brightness that can be found on any given release from this man. And if it’s sunny melancholia you’re looking for, then I Know What Love Isn’t is surely the right place for you to be. It’s clear from the title that this will be an album about the lack of love that Lekman has grown familiar with and with this, comes the implication that these songs will reflect upon a failed relationship and the desire to move on to something better that resembles the love that Lekman hasn’t found yet. The album opens and closes with two tracks by the same name that serve as the front and back covers of this somber story. Both of these numbers run along the same lines, but the opening “Every Little Hair Knows Your Name,” is solely piano, whereas the closer elaborates and expands to a track that matches the others on this album. The first track trickles in faintly and gently—the piano generating a sorrowful, yet hopeful tone to start things off. It’s a beautiful little number that helps set the stage for the rest of the songs to follow. “Erica America,” picks it up a bit into the pop world, carrying the piano in from the first song but also introducing the other elements of a Jens Lekman track. Lighter than air percussion, natural acoustic guitar and the sleepy vocals of Lekman resound strong and smooth, combining with a saxophone solo and some chimes towards the end to produce the juxtaposition light and dark elements. 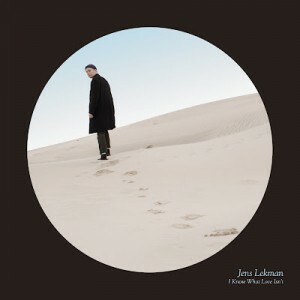 Lekman sings “I wish I’d never met you,” and other regretfully heavy sentiments that contrast the bright and clear instrumentation; a residual theme across the album. There are plenty of catchy tunes on I Know What Love Isn’t, such as “Some Dandruff on Your Shoulder,” as well as the title track. Along with these catchy pop numbers are also some slower numbers that provide for some interesting recesses, like “I Want a Pair of Cowboy Boots,” that express some rather bitter emotions. Mr. Lekman knows what he is doing; each song stands alone, strong enough to hold its own, but all together they form a snapshot of the emotions and stories that combine to generate an album professing the same thing without getting repetitive and dull. Such is a great feat in today’s age of singles.